Caws Cenarth’s traditional Welsh Caerffili won Champion Cheese at the Royal Welsh Show for 7 years in a row – and it’s easy to taste why. Hard, white, and crumbly, it has a light, almost lemony flavour, with a subtle touch of sea salt. The loose, velvety texture is a result of hand-cutting the curds. 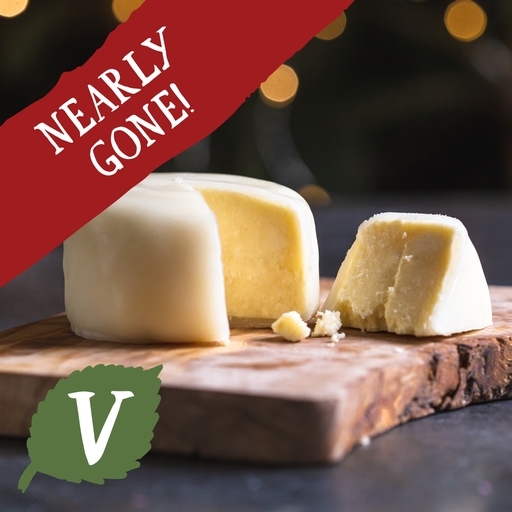 An organic cheeseboard essential; try it with our festive plum and cranberry chutney. Pasteurised cows milk, vegetarian rennet, sea salt*, milk cultures.